Legal Malpractice Insurance Non-renewed? Aggressive comparison shopping to find you the broadest coverage at the best price. ‘A+’ insurers. Free quotes. 1-page app: download below or apply on-line. Our mission is to obtain the broadest coverage at the best price for every law firm, including firms whose coverage has been non-renewed. We also provide attentive service, expert advice, and strong coverage advocacy, if you incur a claim. Receiving a notice from your malpractice insurer that your firm’s coverage has been non-renewed is unwelcome news. We’ll explain why that happens, and what you should do next. A. 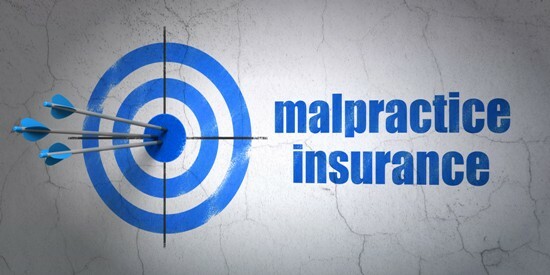 A firm has incurred one or more malpractice claims. If the firm’s insurer has paid out more in defense and indemnity costs to resolve those claims than the firm paid in total premiums, then the insurer may non-renew the firm’s coverage to cut its losses. Alternatively, if the insurer collected more in premium than it paid out in claims, but not enough to both pay its overhead costs and earn an adequate profit, then it will likely non-renew the firm’s coverage to seek more profitable accounts. In both instances, the insurer may also non-renew the firm’s coverage because it ex-pects it to incur additional malpractice claims. B. The insurer has paid out more than expected to resolve claims against firms in the firm’s primary practice area, i.e., personal injury law, or among firms of its size, i.e., solo practices, and so to reduce its losses, it non-renews all firms in that practice area or of that size, even those that have never incurred a malpractice claim. C. A firm has entered a practice area that’s outside of its insurer’s target areas of practice, or its attorney roster has grown beyond the insurer’s target size. D. The insurer is exiting the legal malpractice insurance market in a state, and so non-renews all of the policies that it has in-force there. If your firm is insured by a Standard Market malpractice insurer, such as CNA, Hart-ford, Travelers, ALPS, Minnesota Lawyers Mutual, etc., and its coverage has been non-renewed because it has incurred malpractice claims, then the other Standard Market insurers will likely consider your firm to be a poor risk, and decline to offer it coverage. Conversely, if a Standard Market insurer non-renewed your firm’s coverage solely be-cause it has incurred losses in your firm’s state of domicile or main practice area, or among firms of its size, then your firm should be able to obtain coverage from another Standard Market insurer, although the premium will likely be 10% – 20% higher. If your firm can’t obtain coverage in the Standard Market, then it must shop in the Sur-plus Lines market, a/k/a/ the “hard-to-place-risks” market. This market is less competitive than the Standard Market, and unlike Standard Market insurers, Surplus Lines insurers aren’t constrained by regulators in how much they can raise a firm’s premium. As a result, premiums are typically 50% – 100% higher in this market, i.e., if your firm was paying a Standard Market insurer $10,000 for malpractice coverage, it was non-renewed, and you had to buy coverage from a Surplus Lines insurer, you’d likely pay $15,000 – $20,000 for a policy with the same limits, deductible, and prior acts coverage. A. Understand why your firm’s coverage was non-renewed. Your insurer will send you a non-renewal notice 45 – 90 days before your policy expires. If it says something nebulous, like “the firm no longer meets our underwriting criteria”, then ask the insurer to explain the reason for the non-renewal. There’s a big difference between your firm’s malpractice coverage being non-renewed because of its claims history vs. it being non-renewed because your insurer has stopped covering firms in your primary practice area or state of domicile. B. Request a loss run from your insurer. This is a summary of your firm’s claims history, printed on your insurer’s letterhead: it lists all of the claims that your firm reported to that insurer, the total dollars the insurer has paid to resolve each closed claim, and the amounts it has both paid to date and set aside in reserve for each open claim. The loss run also lists all incidents that your firm has reported, and any reserve that the insurer has posted for them. If you bought your policy directly from your insurer, request your firm’s loss run from its customer service department. If you bought your policy through an agent or broker, ask him or her to obtain it for you. Note: the loss run should cover your entire history with the insurer, i.e., back to your first year of continuous coverage with it. C. If your firm’s coverage was non-renewed because it has incurred malpractice claims, then identify the cause(s) of those claims, and implement measures to prevent them from recurring. For example, a personal injury law firm that has been sued for malpractice several times because it let the statute of limitations expire without filing suit, should improve its calendaring/docketing systems; a firm that has a history of conflict-of-interest claims should improve its conflict-checking systems and client/matter acceptance procedures; a firm that has sued clients for unpaid fees and incurred counterclaims for malpractice, should improve its billing and collection practices, etc. Prospective insurers are going to scrutinize your firm’s application and ask “what’s changed?” You must have a good answer, or your firm won’t be able to obtain malpractice coverage at any price. 1. Has access to many Standard Market legal malpractice insurers, and if none of them will offer your firm coverage, can navigate the Surplus Lines market on your firm’s behalf. 2. Will help your firm determine which, if any risk management measures it should im-plement to reduce its risk of incurring future malpractice claims. 3. Will help you complete the application so that you disclose all required information to the malpractice insurers, while presenting your practice in the best possible light. This includes ensuring that the form you must complete for each malpractice claim explains the corrective measures that your firm has implemented, so insurers will have enough confidence to offer it coverage. If you learn why your firm’s insurance was non-renewed, obtain a loss run, implement any necessary corrective risk management measures, and work with a skilled broker, you’ll have covered all your bases, and your firm will be covered, too. *A copy of the Declarations (first) page from your firm’s current policy. *The Individual Prior Acts Retroactive Date Endorsement from the firm’s current policy. It lists each attorney and his/her retroactive date, which is how far back their coverage ex-tends (it’s usually the same as the attorney’s date of hire, or for the founding attorney(s), the date the firm opened). If there’s a separate Prior Acts endorsement for the firm, please provide that as well. *A copy of the non-renewal notice that you received from your insurer. *A loss run, which as described above, is a summary of your firm’s claims activity printed on the insurer’s letterhead. Request it from either the representative of your insurer who sent you the non-renewal notice, or your agent/broker. Email them to Curt Cooper, our principal broker: ccooper “at” lawyersinsurer.com. If you have any questions, send an email, or call him at 202-802-6415.